The Bankruptcy Code (in its current state, Law No. 3588/2007 as amended by Law No. 3858/2010, Law No. 4013/2011, Law No. 4055/12, Law No. 4072/12, Law No. 4336/2015, Law No. 4446/2016, Law No. 4472/2017, Law No. 4491/2017 and Law No. 4512/2018) is applicable to bankruptcies and reorganisations in Greece. The Bankruptcy Code provides for reorganisation as an alternative to liquidation. Moreover, Greece, by virtue of Law No. 3858/2010, adopted the UNCITRAL Model Law on Cross-Border Insolvency. Finally, because Greece is an EU member state, the EU Regulation on Insolvency Proceedings also applies. Bankruptcy proceedings may be initiated by or against any merchant (individual or legal entity) or any for-profit legal entity. Public entities and local authorities cannot be declared bankrupt. investment services companies can be declared bankrupt, although any bankruptcy proceedings may be suspended by virtue of article 22 of Law No. 3606/2007, as amended by Law No. 4474/2017, if the Hellenic Capital Markets Committee revokes such a company’s licence, thus leading to an initial stage of distribution of segregated client assets (named ‘special liquidation’) and, thereafter, to liquidation or bankruptcy. Non-merchant individuals are excluded from general bankruptcy proceedings, but Law No. 3869/2010, as amended by Law No. 3996/2011, Law No. 4019/2011, Law No. 4161/2013, Law No. 4336/2015 and Law No. 4549/2018, has introduced certain protective measures for individuals facing financial distress; such measures are of a temporary nature and subject to various conditions that severely limit their application. While the law may eventually develop into a fully fledged insolvency regime for non-merchants, in its current form it remains focused on softening the impact on individuals of the current economic crisis. All assets of the debtor are included in bankruptcy proceedings in which all creditors are entitled to participate. Exceptions are provided for individuals such as certain household goods (clothing, food for up to three months, essential furniture, books, musical instruments, etc) and work tools. Secured creditors can elect to exercise their security, thus seeking satisfaction from the proceeds of the secured asset’s sale irrespective of the bankruptcy proceedings, unless the assets are closely connected to the debtor’s business or production unit or enterprise, in which case such option is suspended until a reorganisation plan is approved or until the creditors’ meeting decides on the bankruptcy proceedings to be followed. In any case, the aforementioned suspension cannot last more than 10 months commencing from the date the debtor was declared bankrupt. Secured creditors cannot exercise their security if liquidation proceedings have been initiated. All commercial undertakings regardless of public or private ownership are subject to the Bankruptcy Code. Specific regulated sectors are subject to special rules as set out in response to question 2. There is no specific legislation for institutions that are too big to fail. Nevertheless, Greek law recognises that certain credit institutions play a systemic role and that it is necessary to avoid their resolution or reorganisation. For that purpose, Law No. 3864/2010 set up the Hellenic Financial Stability Fund as an independent agency funded by the state. The purpose of the fund is to maintain the stability of the Greek banking system through capital contributions to systemically important banks that have difficulty maintaining their minimum capital requirements. The same institution also provides funding to cover the funding gaps of credit institutions placed into special liquidation. In connection with such funding, Greece has adopted the banking resolution directive (Law No. 4335/2015), which includes, among other things, bail-in requirements and other burden-sharing provisions. The multi-member first instance court of the district in which the debtor has the centre of its main interests (COMI) has exclusive jurisdiction. The court follows the ex parte procedure, hence the court has the authority to review issues beyond what is formally submitted. The court that issues a decision by virtue of which a debtor is declared bankrupt exercises an ongoing surveillance over the bankruptcy proceedings and is authorised to resolve any disputes that arise during the bankruptcy proceedings. However, that court has no authority for any debtor claim against third parties. As a general rule, the decisions issued by the bankruptcy court are subject to an appeal and appeal in cassation unless otherwise provided in the Greek Bankruptcy Code (GBC). However, the decisions of the bankruptcy court with regard to the appointment or replacement of the reporting judge and the bankruptcy administrator (syndikos) are excluded from the above-mentioned judicial review. The court decision that declares the debtor bankrupt, the decision upon the challenge exercised by any creditor who failed to announce its claims within the statutorily established time period and which aims at the verification of the creditor’s claims by the bankruptcy court as well as the decision upon a lawsuit exercised by the bankruptcy administrator or any creditor in order to set aside transactions that were made during the suspect period are subject to an appeal and appeal in cassation. However, the decision that ratifies the recovery agreement may not be appealed. Solely the decision that rejects the application for the ratification of the recovery agreement may be appealed. As far as the reorganisation plan is concerned, the decision that either ratifies or rejects the plan is subject to an appeal. In case of realisation of the debtor’s estate as a going concern, the reporting judge’s decision by virtue of which the value of the business and the first bid price are determined is not subject to an appeal and appeal in cassation. The same applies when the reporting judge approves the transfer agreement, which is concluded with the highest bidder. Each stage of the public auction procedure that is conducted for the sale of the debtor’s estate either as a whole or for the piecemeal liquidation may be challenged by anyone who has a lawful interest with an opposition lodged before the bankruptcy court. The court order upon the opposition is not to judicial remedies. However, the decision upon an opposition against the distribution list is subject to an appeal and appeal in cassation. Finally, the judgment on the discharge of the debtor is subject to judicial remedies. In all aforementioned cases in which the exercise of an appeal is provided within the GBC, no special permission must be given to the appellant. However, the appellant must pay a fee of €150, otherwise the Court of Appeal will not examine the application. Any debtor that has ceased payments in a general and permanent way must file a bankruptcy petition within 30 days following cessation of payments. Cessation of payments is defined by the statute as a general and permanent inability to meet monetary obligations as they become due and payable. Any debtor that is in imminent financial distress, in the sense that it foresees upcoming liquidity problems and potential default on its payments, amounting to a cessation of payments, may also file a bankruptcy petition. Finally, another ground for the declaration of the debtor’s bankruptcy is the mere possibility of insolvency provided that the debtor files a reorganisation plan along with the bankruptcy petition. In principle, once a debtor is declared bankrupt, a bankruptcy administrator will be appointed to manage the debtor’s assets and affairs. In exceptional circumstances, a debtor may remain in control of its assets and affairs. The court - following a petition by the debtor and to the extent this is to the benefit of the creditors - may permit the debtor to remain in possession and administration of its assets always along with the bankruptcy administrator’s cooperation until the bankruptcy enters the stage of ‘union of creditors’. After a debtor is declared bankrupt, all enforcement actions and proceedings against the debtor are automatically suspended. Secured creditors’ rights arising from existing security are not affected but, in practice, realisation of the assets is difficult as enforcement will be impeded in the event that the assets are closely connected to the debtor’s business or production unit or enterprise, after a reorganisation plan is approved or when the creditors’ meeting decides over the bankruptcy proceedings that will be followed, in which case article 26 of the Bankruptcy Code provides for an automatic suspension of all actions and enforcement procedures. Any enforcement proceedings attempted during the suspension are null and void. If the creditors’ meeting decides to sell the debtor’s assets as a whole, the moratorium lasts until the sale is concluded. One of the important consequences of filing a petition on the basis of an imminent cessation of payments is that the court, if convinced, will set the date of cessation of payments as the date on which the decision that declares bankruptcy is published; accordingly, there will be no suspect period and no threat of transactions being set aside by the bankruptcy administrator. The Bankruptcy Code provides for two proceedings that are relevant to the restoration of a failed enterprise to financial health; the recovery procedure that precedes bankruptcy and the reorganisation plan, which is considered after the declaration of bankruptcy. A debtor either in cessation of payments or in a situation of imminent cessation of payments may file for the ratification of recovery agreement already reached with the qualified majority of creditors (60 per cent of the total claims, 40 per cent of which should be secured). In addition, any debtor that is not in cessation of payments or in a situation of imminent cessation of payments can be subject to the recovery procedure, provided that the court considers it probable that the debtor will become insolvent, and insolvency can be lifted through implementation of the recovery procedure. The agreement may consist of a prepack sale of all or part of the business, a disposition of assets, a debt-equity swap, or a change of the term of existing obligations, such as a write-down of the debt, extension of the repayment date, alteration of the interest rate or replacement of the obligation to pay interest by the obligation to provide the creditor with a share of the profits; such changes to liabilities may also be accomplished through a refinancing of existing debt or through the issue of a bond loan that may also include a convertibility feature. From the submission of the recovery agreement to the Bankruptcy Court until its decision there is an automatic stay for a four-month period on all individual and collective enforcement measures against the debtor. Such automatic moratorium is granted to the debtor only once. In case the court’s decision is not published within the four-month period, the court may grant a suspension on all individual and collective enforcement measures against the debtor or any other preventive measure. Before the submission of the recovery agreement, a moratorium may also be granted - at the request of the debtor or the creditors - if a creditors’ declaration in writing of 20 per cent of the total claims is submitted provided that there is an imminent danger. Such stay can be granted by the court only once and for a maximum period of four months. There are three main criteria for the ratification of an agreement reached by the debtor and the qualified majority of creditors as set out above. First, it must result in a viable business and lift the debtor out of cessation of payments (or prevent it from reaching this state). Second, it must not leave any non-consenting creditors in a less favourable position than they would be in bankruptcy liquidation. Third, each non-consenting creditor may not be treated less favourably than any other creditor of the same rank or priority. the recovery agreement along with the business plan were served to all non-contracting creditors, the claims of which are effected from the recovery agreement. A ratified agreement binds all non-consenting creditors (cram-down effect). Any debtor may propose a reorganisation plan either along with its bankruptcy petition or within three months of being declared bankrupt. The three-month period may be extended by the reporting judge only once and up to one additional month if it is proved that the extension is not detrimental to creditors’ interests and the plan will be accepted by the creditors. Such process has hardly been tested in practice. The statute seems to permit the development of a debtor-in-possession insolvency proceeding, as the court, upon receiving a voluntary insolvency application and a plan that provides for the continuation of the debtor’s business, may decide to allow the debtor to maintain control of the business along with the bankruptcy administrator’s cooperation. Upon filing for declaration of bankruptcy and until the grant of the relative order, a moratorium against all enforcement actions (including the involuntary grant of security over assets) may be provided by the competent court as a preliminary measure. The declaration of bankruptcy puts into immediate effect a moratorium on all enforcement actions by unsecured creditors. 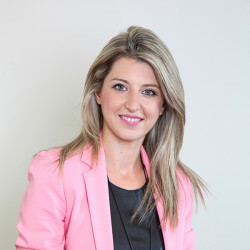 Secured creditors cannot continue pursuing their claims against the secured assets that are closely connected to the debtor’s business or production unit or enterprise until the reorganisation plan is approved. Any enforcement procedures attempted during the suspension are null and void. The ratified reorganisation plan is binding erga omnes (such cramdown includes the dissenting and non-participating creditors). it lifts the debtor out of cessation of payments. The Bankruptcy Court will not examine the debtor’s viability if the following conditions are met: contracting creditors agree with the content of the business plan; the recovery agreement contains listing of contracting and non-contracting creditors, the claims of which are expected to be affected from the materialisation of the recovery agreement; and the recovery agreement along with the business plan were served to all non-contracting creditors, the claims of which are affected by the recovery agreement, as for instance, when the recovery agreement provides for their write-off or for an extension of the repayment date. the proposed debt settlement must not prejudice creditors’ classification. The plan must mandatorily provide for secured creditors, general preferential creditors, unsecured creditors and subordinated creditors. Employee claims constitute a particular class. Claims of unsecured creditors that are of diminished value may be classified separately. Within a particular class, more than one group of creditors may be provided. The plan must provide equal treatment among creditors of the same class, or among creditors of the same group. The plan shall be approved by a majority of creditors representing 60 per cent of the debtor’s debt, at least 40 per cent of which represent secured debt. With respect to a recovery agreement, pursuant to the provisions of the GBC, a guarantor’s or co-debtor’s liability is limited to the value of the claim against the debtor, as such claim was reduced in accordance with the ratified agreement and provided that the relevant creditor consented to the reduction. There is a similar provision with respect to a reorganisation plan. Any creditor can file a petition to have its debtor declared bankrupt when the latter is in cessation of payments. Insofar as the effects of an involuntary liquidation are concerned, the process follows the same steps as noted in question 6. Any natural or legal person that may be declared bankrupt and being in a general and permanent inability to meet its overdue financial obligations (cessation of payments) may be placed under special administration of article 68 et seq of Law No. 4307/2014. Alternatively, in case of joint stock companies, they may be subject to the special administration procedure if they fulfill for two consecutive financial years the requirements of article 48 (1) of Law No. 2190/1920 (as of 1 January 2019, Article 165 (1) of Law No. 4548/21018 is applicable) for dissolution (in particular, as of 1 January 2019, when the company does not have the minimum share capital required by law or the financial statements of at least two consecutive financial years have not been published and approved by the general meeting). The petition may be filed by a creditor or creditors whose claims represent at least 40% of the total claims against the debtor. The calculation of the percentage of the applicant creditors, who must include at least one financial institution, shall be based on a list of creditors drawn up by an accountant, tax advisor or an auditor. A written declaration of the proposed special administrator that he or she accepts the position, if appointed, is filed along with the petition for the placement of the debtor under special administration. The special administrator shall be an auditor or auditing company, a lawyer or law firm with financial-technical expertise or a certified accountant. The special administrator shall be independent from the debtor (ie, not a person affiliated with the debtor’s management or having acted as the debtor’s auditor during the last five years). After the publication in the General Commercial Registry of the decision that places the debtor under special administration, the special administrator is assigned with all powers of the statutory bodies of administration and management of the company (ie, general assembly and board of directors). He or she is the representative of the company towards third parties and undertakes the day-to-day operation of the company. Also, the obligation of the general assembly of shareholders to approve the financial statements is suspended during the special administration. The law provides for an automatic stay suspending the rights of creditors (including the state, social security funds) to enforce claims against the debtor and its assets until the termination of the special administration procedure. The procedure is a non-consensual one, designed to promptly transfer (through one or more public auctions with no reserve price conducted by the special administrator) the total assets of a debtor’s business as a going concern or any branches of the business or any individual assets to the successful bidder and the creditors are satisfied from the auction proceeds. Upon termination of the auction process, the special administrator prepares an auction report announcing the successful bidder; such report is submitted to the court for approval. If only one offer is submitted, the assembly of creditors is convoked by the administrator to approve the offer. If the offer is not approved by the assembly of creditors, the special administrator files for debtor’s bankruptcy. The court judgment approving the successful bidder is not subject to legal recourses. However, any person having a lawful interest and who was not summoned to attend the hearing may file a third-party objection. The court appoints a reporting judge for the purposes of the distribution of the auction proceeds in accordance with the ranking held by each creditor. The process is terminated and the special administrator files for the debtor’s bankruptcy in the event that either no bids are filed for the transfer of the business on a going concern basis or the transfer of at least 90 per cent of the firm’s assets has not been achieved in 12 months, which is the maximum duration of special administration proceedings (exceptions apply). Creditors representing 60 per cent of the total claims against the debtor, 40 per cent of which shall be secured claims, may file for ratification of a debtor’s recovery agreement, as long as the debtor is in cessation of payments. Creditors representing 60 per cent of the total claims against the debtor, 40 per cent of which shall be secured claims, may file a reorganisation plan along with the bankruptcy petition against the debtor. Once the proceedings are opened, there is no material difference to proceedings opened voluntarily. Yes. The GBC after its recent amendments provides only for an expedited pre-bankruptcy recovery process, in the sense that a recovery agreement may be filed for ratification without first petitioning for the commencement of the process. through the proposed recovery, the cessation of payments is not lifted. In that case, provided that there is a pending application for the declaration of bankruptcy, the court declares the debtor bankrupt. The court’s decision is subject to an appeal. In case the debtor fails to perform it duties under the recovery agreement, the agreement may be annulled following a petition filed by anyone having a lawful interest. As a result, the creditors’ claims revert to their initial amount, as they were prior to the ratification of the recovery agreement, reduced by the amount that they have already received. the plan prejudices the interests of dissenters, especially in case that they will receive less than they would have in case of bankruptcy liquidation. The declaration of the debtor’s bankruptcy entails the cancellation of implementation of the agreement or the plan. As a result, the creditors’ claims revert to their initial amount, as they were prior to the ratification of the agreement or the plan. Any payment made from the debtor on the basis of the ratified agreement or plan and until the cancellation is not returned to the debtor, but it reduces the initial debt. In rem securities that according to the ratified recovery agreement were lifted do not revive, unless otherwise provided in the agreement. In rem securities that were created pursuant to the ratified recovery agreement are valid for the amount and the time agreed, unless otherwise provided therein. In principle, and regarding both aforementioned procedures, a debtor’s default in performing an undertaken obligation does not affect the continuing force and effect of the plan or agreement, unless there is a material breach of the plan or the agreement. In all other cases, if the debtor defaults as to a specific obligation, the non-defaulting counterparty may exercise its individual rights under the law and the contract (ie, repudiation, termination) and, if appropriate, may file for the debtor’s involuntary bankruptcy. Greek laws provide procedures for liquidation or dissolution of all forms of corporations. The general rule is that liquidation or dissolution of a corporation does not affect its ability to be declared bankrupt. Special purpose legal entities such as credit institutions and companies providing investment services can be declared bankrupt, although any bankruptcy proceedings may be suspended if the Bank of Greece orders the winding up of the credit institution or the Hellenic Capital Markets Committee revokes its licence, leading to an initial stage of distribution of segregated client assets (confusingly named ‘special liquidation’) and, thereafter, to liquidation or bankruptcy. Insurance companies can be declared bankrupt but not prior to the conclusion of a special winding-up process introduced by Law No. 4364/2016. Recovery and reorganisation proceedings are concluded upon judicial ratification of the respective plan. Liquidation proceedings are concluded upon liquidation and distribution of all the debtor’s assets. In addition, insolvency will be terminated if: the bankruptcy estate is inadequate to satisfy creditors’ claims; or 10 years have elapsed since bankruptcy has entered the stage of ‘union of creditors’ (that is the commencement of the liquidation process); or 15 years have elapsed since the formal declaration of bankruptcy. Greek law applies a ‘cash-flow’ insolvency test. A debtor is declared bankrupt in case of present or foreseeable general and permanent inability to meet its financial obligations as they fall due. Inability is ‘general’ where it covers all or substantially all of the debtor’s financial obligations and ‘permanent’ where it is not circumstantial and there are no substantial recovery expectations or any financial assistance available either in the form of debt or equity. The mere possibility of insolvency constitutes another ground for the declaration of the debtor’s bankruptcy when the debtor files a reorganisation plan along with the bankruptcy petition. Companies and merchants are required to file for bankruptcy within 30 days following cessation of payments. Failure to file for bankruptcy in a timely manner will cause a company’s representatives to be held personally liable for damages caused to creditors by trading while insolvent. Accordingly, the creditors’ compensation is restricted to unpaid debts created during the period between the date the bankruptcy petition should have been filed and the date the company was actually declared bankrupt. The aforementioned claims can be pursued only by the bankruptcy administrators and not by creditors who suffered the damage. Failure to withhold or pay income tax, or to collect or pay VAT by a corporate entity makes the directors, administrators, executive managers, executive directors and bankruptcy administrators of a joint-stock company liable for payment of such tax. Similarly, management members are also liable for payment of income tax owed by the company or withheld by a company that was wound up. Moreover, failure to pay certified tax debts is a criminal offence for which liability attaches to the company management. The management is also criminally liable for the non-payment of salaries and other employment dues (including social security contributions). Furthermore, if bankruptcy is the result of a fraudulent act or gross negligence attributable to any members of management, the responsible persons are liable to compensate creditors. In addition, criminal sanctions may be imposed on officers and directors in cases of, for example, hiding assets, onerous transactions, disposal of merchandise at an undervalue, false statements and dissipation of debtor assets. The Greek Company Law provides that the duty is owed to the company itself. However, the majority of jurists interpret the duty as being owed ultimately to the shareholders. The duty is to act exclusively in the interests of the company, and for the pursuit of the company’s long-term economic well-being. The duties that directors owe to the corporation do not shift to the creditors when an insolvency or reorganisation proceeding is likely. However, under article 98 of the GBC, a company’s management cannot ignore the interests of creditors when the company becomes insolvent, meaning that they must promptly file a petition for the declaration of bankruptcy, bringing the continuing operation of the company to an end (to the detriment of creditors). The members of the board of directors who are responsible for the delay are severally liable for the damages of corporate creditors. The right to manage and transfer the debtor’s assets passes to the syndikos after the commencement of the insolvency proceedings. Directors and officers, however, continue to exercise the rights that are irrelevant to the administration of the insolvency estate. 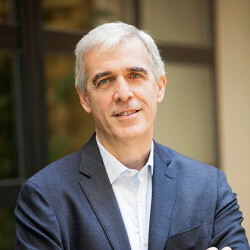 For instance, the board of directors of a société anonyme and not the syndikos retains the authority to convene the general assembly of the shareholders of the company in order to approve the annual financial statements, while it is the board of directors that is solely competent to certify the payment of the share capital. In exceptional circumstances, a debtor may remain in control of its assets and affairs. The court - following a petition by the debtor and to the extent this is to the benefit of the creditors - may permit the debtor to remain in possession and administration of its assets, always with the syndikos’ cooperation, and subject to being recalled if that is held to serve the creditors’ interests. The syndikos oversees performance of the reorganisation plan and reports to the creditors’ representative every six months. In general, directors and officers remain in control of a corporation after the ratification of a recovery agreement. However, if it is provided within the terms of the recovery agreement, or following an application made by the debtor or any creditor, the bankruptcy court may appoint a special agent assigned with the following duties: to preserve the bankruptcy estate, perform special managerial tasks, or supervise the execution of the recovery agreement. In recovery proceedings, from the submission of the recovery agreement to the Bankruptcy Court until its decision there is an automatic stay for a four-month period on all individual and collective enforcement measures against the debtor. Such automatic moratorium is granted to the debtor only once. In principle, the interim measures may be imposed on creditors’ claims that arose prior to the filing of the recovery agreement. Any moratorium regarding enforcement action automatically prevents transfer of the debtor’s immovable property and equipment. In case the court’s decision is not published within the four-month period, the court may grant a suspension on all individual and collective enforcement measures against the debtor or any other preventive measure. However, in this case, unless the court decides otherwise, a provisional moratorium will not prevent the enforcement of employee claims. Also, the creditors’ enforcement rights arising from any financial collateral arrangement, or from any close-out netting provision, or any creditor’s right to terminate the lease agreement if the debtor is in arrears for at least six monthly payments, are excluded from the suspension. Unlike bankruptcy, the stay affects secured creditors as well. However, the declaration of bankruptcy does not suspend the individual enforcement of security rights, unless the debtor’s business is sold as a going concern, or bankruptcy is said to enter the stage of ‘union of creditors’, in which case the list of creditors is finalised. Before the submission of the recovery agreement, a moratorium may be granted - at the request of the debtor or the creditors - if a creditors’ declaration in writing of 20 per cent of the total claims is submitted, provided that there is an imminent danger. Such stay can be granted by the court only once and for a maximum period of four months. Once the debtor is declared bankrupt, all unsecured and general preferential creditors are barred from enforcing their rights and remedies against the debtor. Secured creditors can continue to pursue their claims against the secured assets unless the secured assets are closely connected to the debtor’s business or production unit or enterprise, until either a reorganisation plan is approved or the creditors’ committee decides whether the bankruptcy administrator will continue the debtor’s commercial activities for a certain period of time; lease the business; sell the company as a going concern through a public auction; or proceed to the piecemeal sale of the debtor’s assets. In any case, the suspension cannot last more than 10 months from the day the debtor was declared bankrupt. If the creditors approve the sale of the debtor’s assets as a whole, the suspension lasts until the sale is concluded, for which the law does not set a deadline. Upon filing of the application, creditors may file a petition for preventive measures suspending any individual enforcement measures against the debtor. After the placement of the debtor under special administration, there is an automatic stay on all enforcement measures (including the state, social security funds) against the debtor and its assets until the termination of the special administration procedure. No conditions or restrictions are set by law on the debtor’s conduct of business. No conditions apply to creditors who supply goods or services. The court intervenes in key parts of the recovery process. The automatic moratorium regarding enforcement actions against the debtor automatically prevents transfer of the debtor’s immovable property and equipment. Moreover, the court decides on the ratification of the agreement. The court may appoint a special administrator to control the debtor’s assets or to perform specific actions or to oversee performance of the recovery agreement. Creditors that, pursuant to the recovery agreement, supply goods and services to the debtor for the continuation of its business activities, are ranked as first-class general preferential creditors for the value of the goods and services provided, superseding all other creditors. Creditors that supplied goods and services during the negotiation period for the conclusion of a recovery agreement, regardless of its ratification and if it is provided within the terms of the recovery agreement, are also ranked as first-class general preferential creditors superseding all other creditors. In this case, the supply of goods or services must be provided within a time period of six months prior to the submission of the recovery agreement. Finally, the recent amendments in the GBC provide for the satisfaction in full of the above super-seniority claims arising from supply of goods or services when general preferential claims coincide with secured and unsecured claims or in the case where general preferential claims coincide with unsecured claims. The syndikos oversees performance of the reorganisation plan and reports to the creditors’ committee every six months. In reorganisation, the treatment is not the same as in recovery procedure of creditors who supply goods and services to the debtor. As a result, their claims are not are ranked as first-class general preferential creditors. The special administrator may receive new financing (ie, money or supply of goods or services) in order to keep the business in operation, which is granted ‘super-seniority’ status and is satisfied in full ahead of all other creditors. There are no specific provisions with regard to funding upon commencement of liquidation proceedings. However, creditors that pursuant to the recovery agreement or the reorganisation plan, provide loans or credit to the debtor for the continuation of its business activities, are ranked as first-class general preferential creditors, superseding all other creditors. Creditors that provided loans or credit during the negotiation period for the conclusion of a recovery agreement, regardless of its ratification and if it is provided within the terms of the recovery agreement, are also ranked as first-class general preferential creditors superseding all other creditors. In this case, the loans or credit must be provided within a time period of six months prior to the submission of the recovery agreement. 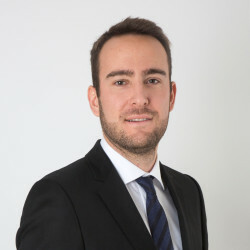 The recent amendments in the GBC provide for the satisfaction in full of the above super-seniority claims arising from loans or credit provided to the debtor, when general preferential claims coincide with secured and unsecured claims or in the case where general preferential claims coincide with unsecured claims. The same applies in special administration proceedings (see also question 22). Until the ratification of a reorganisation plan or a decision of a creditors’ meeting deciding for debtor’s liquidation any sale of assets is forbidden without prior permission by the reporting judge granted under exceptional circumstances. Any sale of the debtor’s assets in case of a reorganisation plan can be contemplated after ratification of the reorganisation plan, pursuant to its provisions. Liquidation pursuant to a creditors’ committee decision is performed through a public auction by submission of sealed offers. The purchaser acquires the assets ‘free and clear’ of claims. remain as part of the debtor’s obligations. Until ratification of the recovery agreement, assets can be transferred in case there is no moratorium in place and subject to rules regarding fraudulent conveyances and provisions regarding transfers during the suspect period. ‘Stalking horse’ bids are not possible because all sales are conducted by means of a public auction in which all bidders participate on identical terms. Bilateral negotiations even prior or after are excluded. Credit bidding is permitted under limited circumstances, such as when the debtor’s movables are acquired by the debtor’s creditor who commenced enforcement proceedings provided that no other creditor announced any claim against the debtor. In general, any contract may provide for a termination right, in the event that the counterparty is declared bankrupt. The Greek Bankruptcy Code provides for the maintenance of enforceability of any mutual contract not having being performed by either party in full at the time bankruptcy is declared, unless otherwise provided by the contact. More specifically, the bankruptcy administrator has the right to opt for the performance of the aforementioned contract. If the bankruptcy administrator fails to act, the counterparty can request that the liquidator decide within a reasonable deadline whether he or she opts for the performance of the contract. If the bankruptcy administrator does not reply within the established deadline, or if he or she refuses to perform the contract, then the counterparty is entitled to repudiate the contract and claim for damages. Contracts of a continuous nature may provide for a termination right in the event of a party’s bankruptcy. In the absence of such a term, the Greek Bankruptcy Code establishes the maintenance of their enforceability. In that case, provided that the breach of the contract constitutes an event of default, the contract may be terminated, regardless of the debtor’s insolvency. There are no special provisions regarding IP rights and the rules generally applicable to the performance of contracts apply. Such law permits the operation of ipso facto contractual clauses: accordingly, insolvency may be agreed to constitute a contractual event of default. If a contract is not terminated, the bankruptcy administrator can elect to continue its performance. However, upon termination the estate is not entitled to the benefit of continuous use of the IP. There are no special provisions regarding personal information or customer data in the GBC and the restrictions generally applicable to personal data, apply. To the extent that any type of information or customer data is deemed to be personal data, any use thereof, including transfer to a purchaser, as, for instance, in case of transfer of any business as per the provisions of a ratified recovery agreement, is subject to the provisions of Regulation (EU) 2016/679 (the GDPR). As a general rule, when collecting and processing personal data, data controllers bear the obligations laid down by the GDPR, including obligations towards the data subjects. Personal information or customer data may be used during any insolvency and pre-insolvency procedure provided that such use is compatible with the purposes for which they were originally collected by the insolvent/pre-insolvent company. Any use of personal data must comply with the principles of the GDPR, including the principles of lawfulness, fairness and transparency, purpose limitation, data minimisation, accuracy, storage limitation, and integrity and confidentiality. New consent is not required on the condition that personal data is used for the purposes for which it was originally collected. Any consent must meet the requirements of the law (ie, must be freely given, unambiguous, specific and informed). Regarding the transfer of such information to a purchaser, such transfer shall be in principle compliant from a data protection law perspective provided that the data subjects have been originally informed that their personal data shall be passed on to other organisations and in principle consented thereto. This may be achieved through appropriate terms in the contractual arrangements entered into between the insolvent and pre-insolvent company and the data subjects. Even if the data subjects have been appropriately informed about the transfer of their personal data, the transfer is still subject to the principles set by the GDPR. Having said that, personal data must be used by the purchaser for the purposes for which it was originally collected. Personal information should not be used in a way that would be outside of the reasonable expectations of the individuals concerned. If the purchaser intends to use personal data for any other purposes than the purposes for which it was originally collected, consent for the new purpose is required from each data subject. Following the transfer of personal data, the purchaser shall be deemed to be a controller and shall bear the respective obligations under the GDPR. Therefore, the purchaser will have to inform the data subjects about the change of the controller and provide them information regarding the enforcement of their rights (right of access, right to object, etc). With regard to the issue of consent, the processing may be carried out without the data subject’s consent, where the processing is necessary for compliance with a legal obligation to which the controller is subject, or where processing is necessary for the purposes of the legitimate interests pursued by the controller or by a third party, except where such interests are overridden by the interests or fundamental rights and freedoms of the data subject that require protection of personal data. Under the GDPR, data controllers are no longer required to notify or seek authorisation by the Data Protection Authority for the processing of personal data, including the transfer of personal data to a third party. They are required instead to put in place effective procedures and mechanisms to assure compliance with the GDPR, including carrying out data protection impact assessments, where a type of processing is likely to result in a high risk to the rights and freedoms of the data subjects. A controller shall consult the Data Protection Authority prior to processing where a data protection impact assessment indicates that the processing would result in a high risk in the absence of measures taken by the controller to mitigate the risk. Arbitration cannot be used in bankruptcy proceedings in Greece. Courts have held that an arbitration clause lapses after a debtor is declared bankrupt. However, theorists have proposed that a bankruptcy administrator should be considered competent to appoint arbitrators, continue arbitration or agree on an arbitration clause. Under Greek law, a seizure requires an executory title and a supervised public auction. However, tax authorities are entitled to impose a seizure on debts over €70,000 without obtaining an executory title first. Such significant reform was introduced by Law No. 4336/2015. Unsecured creditors can individually attempt to recover their debt through ordinary legal proceedings. The creditor can enforce its rights after obtaining an executory title against the debtor (article 904 of the Code of Civil Procedure). A creditor with an executory title can seize any of the debtor’s assets, proceed to their forced sale (through an auction) and claim satisfaction from the sale proceeds. Assets sold through a forced sale are relieved from all encumbrances and creditors that have security on those specific assets along with creditors that enjoy a statutory priority are satisfied in priority to other creditors. Unsecured creditors prior to and until obtaining an executory title can apply for an interim order, for a prenotation of mortgage over the debtor’s immovable assets or a conservative attachment over the debtor’s other assets. Such proceedings will require at least three and may take as long as eight months and will require, among other things, proof of imminent danger. No special procedures apply to foreign creditors. All decisions with regard to bankruptcy proceedings are published in the Bulletin of Judicial Publications of the Jurists’ Pension Fund. All creditors are invited in writing by the bankruptcy administrator to announce their claims within a time period of one month after the publication of the decision that declared the debtor’s bankruptcy in the Bulletin of Judicial Publications of the Jurists’ Pension Fund. The same applies in special administration procedure mutatis mutandis. the creditors’ meeting for voting on the reorganisation plan. The bankruptcy administrator must submit to the creditors’ meeting a report with regard to the debtor’s current financial situation, the reasons that led to its bankruptcy, the prospects of continuing business activities and the possibility of adopting a reorganisation plan. The bankruptcy administrator oversees the performance of the ratified reorganisation plan and every six months submits a report to the creditors’ representative. Following the recent amendments to the GBC, the creditors’ committee does not constitute a main body of the bankruptcy procedure. Nevertheless, the creditors’ meeting may pass a resolution upon the appointment of a creditors’ committee. The committee consists of three ordinary and three substitute members. One each of the ordinary and substitute members are selected from the class of secured creditors, general preferential and unsecured creditors. The creditors’ committee is assigned with the general duty of supervising the progress of bankruptcy proceedings and assisting the bankruptcy administrator during the performance of his or her duties. The Bankruptcy Code does not preclude the creditors’ committee from retaining external advisers at its own expense, after having obtained the permission of the reporting judge. No, the Greek Bankruptcy Code does not permit the estate creditor to pursue its claims if the bankruptcy administrator has no assets to pursue a claim. The Greek Bankruptcy Code contains no specific provisions for the transfer of creditors’ claims. Any transfer of claim can take place according to provisions of the Civil Code on assignment. The bankruptcy liquidator invites all creditors that are included within the list provided by the debtor to announce their claims within one month of the public notification of the decision that declared bankruptcy. Creditors that fail to announce their claims within the statutorily established time frame may seek judicial verification of their claims through filing a petition before the bankruptcy court. Three days following the lapse of the time period that is established for the announcement of creditors’ claims, the bankruptcy administrator must verify each creditor’s claim before the bankruptcy judge. At this stage, it is likely that a creditor’s claim may be challenged by the debtor, the syndikos or other creditors whose claims have temporarily or finally been accepted. The judgment upon admission or rejection of one’s creditor claim is subject to an appeal. The Greek Bankruptcy Code contains no specific provisions for the transfer of creditors’ claims. Any transfer of claim can take place according to provisions of the Civil Code on assignment. The Greek Bankruptcy Code recognises claims for contingent or unliquidated amounts. Finally, at the time bankruptcy is declared, the non-due and payable creditors’ claims, excluding the secured creditors’ claims, are deemed to be due and payable. The secured creditors’ claims are payable at their actual expiry date. The creditors have the right to offset their claims against debtor’s claims provided that their claims became due and payable prior to the debtor’s bankruptcy. The bankruptcy court may order the temporary suspension of creditors’ right to set off. The Bankruptcy Code does not provide for any change to the classification of creditors’ claims. Any involuntary change of priority would probably be deemed unconstitutional as a violation of article 17 of the Greek Constitution. Super seniority claims (article 154a): loans or credit provided pursuant to a recovery agreement or a reorganisation plan. Goods or services provided on the basis of a recovery agreement. Loans or credit, goods or services provided during the negotiation period, if it is provided within the terms of the recovery agreement, regardless of its ratification. In this case, loans or credit, goods or services must be provided within a time period of six months prior to the submission of the recovery agreement. other claims of the state or local authorities and their surcharges excluding VAT claims. After deducting bankruptcy expenses and the bankruptcy administrator’s remuneration, the super seniority claims are satisfied in full and ahead of any other creditors’ claim. Then the secured creditors are paid out of 65 per cent of the sale proceeds. General preferential creditors are paid out of 25 per cent of the sale proceeds ranked as set out above. Unsecured creditors are satisfied by the remaining 10 per cent of the sale proceeds. First rank: employees’ claims that arose within six months prior to the declaration of bankruptcy and up to an amount equal to six monthly wages per employee. For the purposes of such ranking, the monthly wage is equal to the minimum wage of an employee working over 25 years multiplied by 275 per cent. Second rank: super seniority claims of article 154a GBC (ie, loans or credit provided pursuant to a recovery agreement or a reorganisation plan. Goods or services provided on the basis of a recovery agreement. Loans or credit, goods or services provided during the negotiation period, if it is provided within the terms of the recovery agreement, regardless of its ratification. In this case, loans or credit, goods or services must be provided within a time period of six months prior to the submission of the recovery agreement). Fourth rank: general privileged claims (mainly, employees (the balance of the above claims), Greek state, social security funds etc) and secured claims for expenses incurred for the production and harvesting of harvests in the last six months before the declaration of bankruptcy. It should be noted that each rank must be fully satisfied prior to the satisfaction of the following/next rank (ie, first rank fully satisfied prior second rank etc). Under Greek law, an employer can terminate an employment contract of indefinite duration by notifying the employee in writing and paying the statutory compensation. Failure to pay the statutory compensation or notify the employee in writing renders the termination null and void. When a debtor is declared bankrupt, contracts are not automatically terminated. The bankruptcy administrator can terminate employment contracts lawfully without paying the statutory compensation at the time the termination occurs. The employee maintains a claim for his or her compensation. A restructuring does not automatically exempt a debtor from complying with the collective redundancies restrictions (up to 5 per cent for larger employers; in any case it may not exceed thirty employees). However, where a business ceases operations as a result of the appointment of a bankruptcy administrator, or when there is a downsizing as a result of a judicially ratified recovery or reorganisation plan, it is arguable that those employee terminations do not count towards the statutory threshold (in the sense that they are the result of closures pursuant to a judicial decision). Claims for unpaid wages and salaries as well as claims for termination compensation are treated as priority claims in liquidation and are usually satisfied to a substantial extent. The state-run social security fund is also a privileged priority creditor but there is no similar provision for other employee pension funds or schemes. Claims by the social security fund prior to the declaration of insolvency are treated as priority claims and are satisfied as a matter of general priority (set out in greater detail in question 38). Employee claims that have arisen within two years of the declaration of insolvency are also given special priority under statute. The Bankruptcy Code does not distinguish between claims for unpaid wages and salaries and claims for unpaid voluntary benefits such as unpaid pension contributions, which are also given the same priority. If the environmental problems take place after the commencement of insolvency proceedings, and arise by action of the bankruptcy administrator, the person suffering the damage may file a lawsuit against the bankruptcy administrator, under his or her capacity as administrator of the insolvency estate, and upon acquisition of an enforceable title, he or she may be satisfied before the other creditors by the insolvency estate. If the debt cannot be satisfied by the insolvency estate, the bankruptcy administrator is obliged to compensate the creditor, if he or she failed by reason of gross negligence to diagnose that the estate is not likely to be able to satisfy such group debt or actually diagnosed it, but neglected it. Of course, liability of the bankruptcy administrator under tort is not precluded. In any case, any claim against the bankruptcy administrator is time-barred after a period of three years from the time the person suffering the damage became aware of the damage and of the damaging act. If the environmental problems take place after the commencement of insolvency proceedings by the action of the debtor, the person suffering the damage may file a lawsuit against the debtor and, upon acquisition of an enforceable title, he or she may be satisfied by the debtor’s estate. It should be noted that the person suffering the damage may be satisfied by the debtor’s property that was acquired after the opening of insolvency proceedings and that is not included within the insolvency estate. If the environmental problems take place before the commencement of insolvency proceedings, the person suffering the damage must participate in the insolvency proceedings (by announcing its claim) in order to be satisfied by the insolvency estate. As stated above, a recovery agreement may provide for liabilities that pass to the new acquirer or purchaser of debtor’s assets and for the discharge or conversion of other liabilities. Otherwise, liabilities continue to lie with the debtor. The debtor, if a natural person, may be discharged either after the lapse of two years as of the declaration of bankruptcy, or if he or she has repaid all creditors in principal and interest. The debtor, if a legal entity, is discharged if it has repaid all creditors in principal and interest. The discharge of a debtor who was convicted for elimination or non-disclosure of assets belonging to the insolvency estate, for acting in a manner contrary to the rules of prudent financial management and for non-keeping or concealing of mandatory business books is prohibited, unless criminal discharge for these acts occurred. Following liquidation of the debtor’s estate, the bankruptcy administrator draws up a list with regard to distributions that will be made to creditors. The bankruptcy administrator may proceed in provisional distributions after having obtained the reporting judge’s prior consent. The list of distributions is submitted to the latter and it is posted at his or her office. Public notification at the Bulletin of Judicial Publications of the Jurists’ Pension Fund is required as well. Under certain circumstances, the publication of the list of distributions in Greek political and economic daily gazettes or economic gazettes of international circulation may be required. Mortgage - this is the basic form of security in relation to immovable property. In order to create a mortgage, a creditor must hold a title provided by law, final court decision or a notarial deed. A mortgage is perfected by its registration in the Land Registry. Prenotation of mortgage - this is the most common form of security on real property and is created by a court order in the nature of an injunction. It can be viewed as a conditional mortgage that can be converted into a full mortgage upon the debtor’s default with retroactive effect as of the issuance of the prenotation order. Prenotations are far more common than mortgages because court fees are significantly lower than the notarial fees that would be payable for the mortgage deed. Pledge: this is the most common form of security. A pledge on a movable asset ensures the preferential satisfaction of the creditor through a forced sale of that movable asset in execution proceedings. A pledge requires physical delivery of the movable asset to the pledgee. A chattel mortgage (articles 1 and 3 of Law No. 2844/00) (also non-possessory pledge): a chattel mortgage allows the debtor to retain possession and use of the movable asset, and to freely dispose of it, but it attaches to the asset and ensures that the creditor is preferentially satisfied through the asset’s forced sale, following the commencement of execution proceedings. Floating charge (article 16 of Law No. 2844/00): a floating charge enables the debtor to deal with (and dispose of) the charged assets (as specified in the agreement) in the ordinary course of business until the occurrence of either a default or an agreed event that causes the floating charge to crystallise. Following crystallisation, a floating charge becomes a fixed charge (similar to a pledge) attaching to whatever movable assets are available at that time. a debtor can conditionally transfer, to the creditor, the ownership of the movable assets to secure performance of its obligations. Once the obligations are fulfilled, ownership reverts automatically to the debtor. However, if the debtor defaults, the creditor must auction the movable asset and satisfy his or her claim through the proceeds of the auction. The debtor’s transactions that took place during the interval between cessation of payments and declaration of bankruptcy (suspect period) are annulled or may be annulled. creation of security over the debtor’s estate for pre-existing debts. Any debtor’s mutual transaction may be annulled if the debtor’s counterparty did not act in good faith, that is, it knew that the debtor has suspended its payments and that the transaction was detrimental to creditors’ interests. Another ground upon which the debtor’s transactions can be annulled is the fraudulent prejudice of creditors’ interests. More specifically, fraudulent acts committed by the debtor during the last five years prior to the declaration of bankruptcy to the detriment of its creditors’ interests or to establish a preference of some creditors over the others, can be avoided and the assets are recovered by the debtor, provided that the third party knew of the debtor’s intent. No transaction contemplated pursuant to a ratified recovery agreement or a reorganisation plan can be annulled. within the framework of Law No. 3389/2005 regulating PPPs, any securities granted by a special purpose vehicle (SPV) or any third party in favour of a credit or financial institution or any third party in order to secure claims towards the SPV. The Bankruptcy Code provides a set of rules for the annulment of transactions contemplated during the period from cessation of payments to bankruptcy declaration, and also damage to creditors. The Code presumes that insiders (founders, managers and directors) are aware of the debtor’s suspension of payments, and ordinary arm’s-length transactions within the debtor’s professional or business activities may not be annulled. Claims against the debtor may be verified by the bankruptcy administrator before the reporting judge against the debtor’s books and records. The debtor, the bankruptcy administrator and creditors whose claims have been verified may contest claims asserted against the debtor, in which case the Bankruptcy Court will have the final decision. Finally, the Code provides for criminal sanctions in the event of onerous transactions, disposal of merchandise at an undervalue, false statements, dissipation of debtor assets, false acceptance of debts and favourable treatment of the creditor. As a general rule, the parent company is not liable for the corporate debts incurred by any of its affiliates or vice versa. This is in accordance with the principle of separate corporate personality of each company member of a group. Nevertheless, a parent company or an affiliated corporation may be responsible for the liabilities of a subsidiary or an affiliated company if, under the terms of any concluded agreement, the former is co-debtor or guarantor of the latter. In a case of joint and several liability, if any of the co-debtors (including the principal debtor) is declared insolvent, the creditor has the right to claim full satisfaction of its claim from each co-debtor if, at the time any co-debtor became insolvent, its claim was actually due and payable. If a creditor enforces its claim against one or more co-debtors and receives an amount exceeding the amount of its claim, then the creditor must reimburse any co-debtor that has a right of recourse against the principal debtor or any co-debtor. Similarly, in the case of a company that is a guarantor of another company member of the group, the creditor may exercise its rights against the principal debtor that is declared insolvent as well as against the guarantor. In the case of excess payment of its claim, the creditor reimburses the guarantor with the excess amount provided that the latter has the right of recourse against the principal debtor. Alternatively, the creditor may reimburse the excess amount to the bankruptcy administrator. The Greek Bankruptcy Code does not provide for substantive consolidation in case of bankrupt company members of an enterprise group. Hence, the Bankruptcy Court cannot order a distribution of group company assets pro rata without regard to the assets of the individual corporate entities involved. The Greek Bankruptcy Code does not provide for the bankruptcy of groups of companies. More specifically, it does not provide for any procedural or substantive (pooling of assets and liabilities) consolidation in case of a bankrupt enterprise group. However, each company member of the group is subject to distinct bankruptcy proceedings. This is in accordance with the fundamental principle of separate corporate personality of each company member of a group. However, the provisions of EU Regulation 848/2015 regarding group coordination proceedings and the appointment of a group coordinator may be applicable. The recast EU Regulation 848/2015 on insolvency proceedings (replacing Regulation 1346/2000), which came into force on 26 June 2015 regarding insolvency proceedings initiating from 26 June 2017, applies because Greece is an EU member state. Moreover, Law No. 3858/2010, which came into force on 28 June 2010, substantially repeats the text of the UNCITRAL Model Law on Cross-Border Insolvency; caution is required with the definitions, especially that of ‘foreign proceedings’, as the law seems to apply only to foreign proceedings that involve the appointment of a liquidator. Law No. 3858/2010, which came into force on 28 June 2010, substantially repeats the text of the UNCITRAL Model Law on Cross-Border Insolvency; caution is required with the definitions, especially that of ‘foreign proceedings’, as the law seems to apply only to foreign proceedings that involve the appointment of a liquidator. However, the Model Law also applies in proceedings in which the debtor remains in control of its assets and affairs (debtor-in-possession proceedings). In addition, the Greek court will refuse recognition if it identifies a violation of public order; in that it departs from the text of the Model Law that provides for non-recognition only where the foreign procedure is ‘manifestly’ contrary to the public order. The difference may be slight but may still provide an opening to litigants to successfully resist recognition. Foreign creditors that seek to commence or participate in bankruptcy proceedings in Greece have the same rights as domestic creditors. EU Regulation 848/2015 applies. If it is possible to satisfy all announced claims that have been verified (at the stage of liquidation of assets in secondary insolvency proceedings) the insolvency practitioner appointed in secondary proceedings shall immediately transfer any assets remaining to the insolvency practitioner of the main insolvency proceedings. The GBC uses the same criterion as the European Insolvency Regulation to determine the COMI. The COMI corresponds to the place where the debtor conducts the administration of its interests on a regular basis in a manner that is ascertainable by third parties. The GBC establishes a rebuttable presumption in case of a debtor’s legal entity. A legal entity’s place of registered office is presumed to be the COMI, in the absence of evidence to the contrary. The Greek Bankruptcy Court does not provide for a COMI of a corporate group. Nevertheless, it is not precluded for a subsidiary’s COMI to coincide with a parent’s COMI. In that case, the bankruptcy proceedings will be centralised before the same court. To the best of our knowledge, to date Greek courts have neither addressed any such case. Law No. 3858/2010, which implemented most of the UNCITRAL Model Law, introduces the prospect of recognition of foreign insolvency proceedings as well as the cooperation among Greek courts, foreign courts and liquidators of different jurisdictions. To our knowledge, there are no reported cases in which the court refused to recognise foreign proceedings. On the other hand, there are judgments reported in which Greek courts recognised foreign main proceedings and initiated secondary bankruptcy proceedings in Greece according to the provisions of the European Insolvency Regulation. The Greek courts have not concluded any cross-border insolvency protocol or other arrangement that regulates coordination if concurrent insolvency proceedings are opened within different jurisdictions. However, Law No. 3858/2010, which implemented most of the UNCITRAL Model Law, introduces the prospect of cooperation among the Greek courts, foreign courts and liquidators in different jurisdictions. That provision has not yet been tested in practice. Law No. 4469/2017 introduced the new procedure for the extrajudicial debt settlement, which sets as its main objective the rescue of viable debtors. It is a mainly collective procedure through which all the financial obligations of viable debtors are settled through the conclusion of a debt settlement agreement with the majority of their creditors (including both private creditors and the public sector - the Greek state - the social security funds and entities governed by public law). The service of an abstract of the debtor’s application to its creditors as well as the notification of an invitation with regard to the creditors’ participation in the process entails an automatic suspension of individual and collective enforcement measures. It is a pre-bankruptcy, optional or consensual (there can be no agreement without the consent of the debtor) procedure in which the debtor remains in administration of its assets and affairs (‘debtor in possession’). Moreover, in terms of its objective, it is a reorganisation process that may be requested by any company and natural person that can be declared bankrupt under the GBC. The debtor and its creditors can freely decide on the content of the debt restructuring agreement. A significant restriction to this rule is that the creditors shall receive at least the amount they would receive in the event of liquidation of the debtor’s, the co-debtors’ and guarantors’ estate (no creditor worse off principle). Finally, although the process is named as ‘extrajudicial’, it should be though ratified by the court to have a cram-down effect. We note that the procedure applies to petitions filed until 31 December 2018; however, an extension of the said deadline is expected. Second rank: super seniority claims of article 154a GBC (ie, loans or credit provided pursuant to a recovery agreement or a reorganisation plan. Goods or services provided on the basis of a recovery agreement. Loans or credit, goods or services provided during the negotiation period, if they are provided within the terms of the recovery agreement, regardless of its ratification. In this case, loans or credit, goods or services must be provided within a time period of six months prior to the submission of the recovery agreement). It should be noted that each rank must be fully satisfied prior to the satisfaction of the following or next rank (ie, first rank fully satisfied prior second rank etc).